Nothing says welcome quite like Cambodia does. From her friendly people, rich heritage and delicious food, to her fertile land and visually stunning landscapes that evoke comments of awe, Cambodia is a place of welcome and majesty that to this day inspires the imaginationof all who travel or live in the Kingdom of Wonder. Fortunately for anyone who is interested in learning about Cambodia there is no shortage of good material to enrich the learning experience. Books about ancient Khmer history, Angkor Wat, Cambodian culture, the excitement of Phnom Penh, the incredibly beautiful land and peaceful beaches, how to plan a move to Cambodia, traditional Khmer dessert recipes… Khmer desserts? 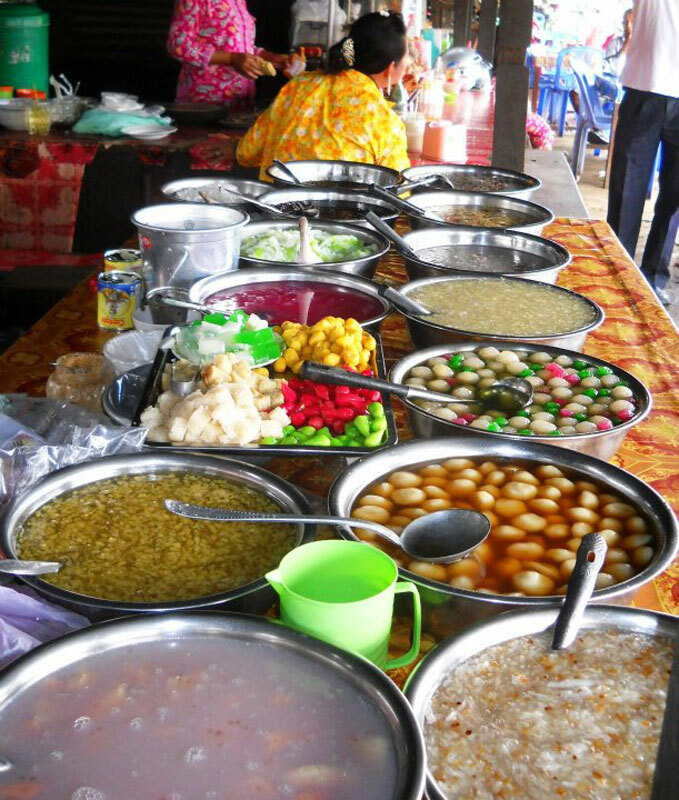 Yes, there is now a Khmer dessert cookbook thanks to an English expat who lives in Cambodia. Gabrielle (Gabi) Yetter (pictured) is a writer who authored the first and only Khmer dessert cookbook, published this month. 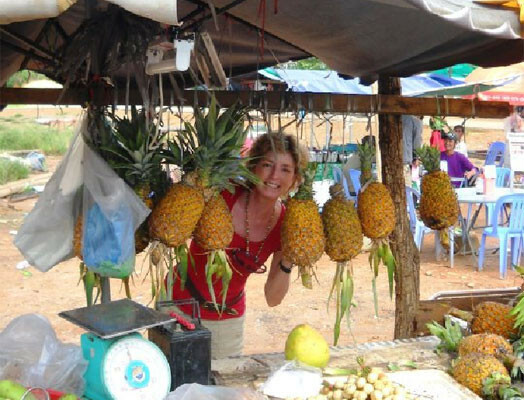 At the same time, she produced an ebook, entitled The Definitive Guide to Moving to Cambodia, a comprehensive and entertaining resource for anyone thinking about or planning a move to Cambodia. 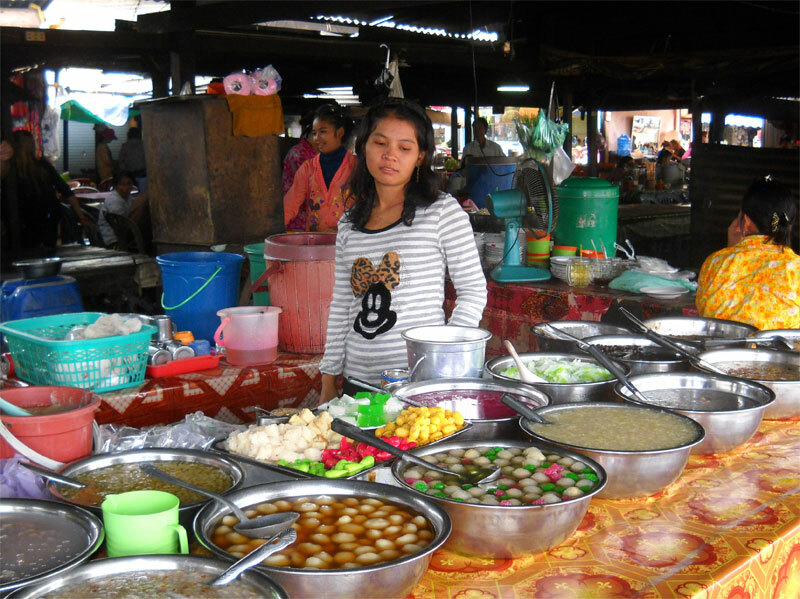 Gabi’s first taste of Southeast Asia came during her honeymoon in Thailand in 2007. 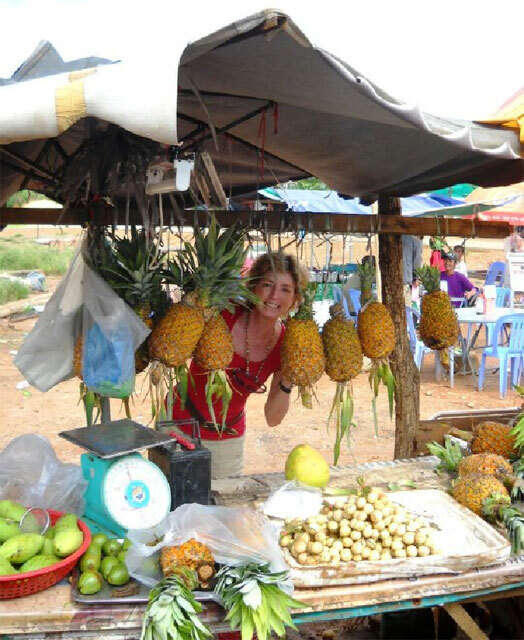 Falling in love with the region, she and her husband, Skip, decided to move across the world after being accepted into the Volunteers in Asia volunteer program (www.viaprograms.org), which assigns volunteers to positions throughout the region. Gabi was assigned to an organization in Phnom Penh, where she does what she does best: write. In her close affiliation with non-profits and NGOs, Gabi partnered with Pour un Sourire d’Enfant (www.pse.asso.fr), a non-profit organization dedicated to improving the lives of underprivileged children in Cambodia, and set out on a one of a kind…dare say…sweet adventure. An adventure that would take her to eight provinces and 11 towns across Cambodia, meeting the most precious and magnificent people Cambodia has to offer, and document the recipes for the tasty and unusual desserts for future generations to enjoy.The Sweet Tastes of Cambodia is the product of up close and personal encounters with families and individuals who have made traditional Khmer desserts for years but did not document the recipes, since they had always been handed down from mother to daughter, generation after generation. To preserve a piece of Khmer heritage, The Sweet Tastes of Cambodia is designed to ensure Khmer desserts never become history and that they can be enjoyed for generations to come. For any foodie or lover of unique, unusual and delicious treats, The Sweet Tastes of Cambodia is an ideal addition to any cookbook collection since the desserts are not only delicious but also fun to make. With step-by-step instructions including ingredients, preparation methods, utensils and color photos, the cookbook also includes encounters and interviews with Cambodian cooks and villagers as well as descriptions about regions of the country which few tourists discover. Gabi’s second book, The Definitive Guide to Moving to Cambodia (published March 2013, and available on Amazon), is an ebook that is an ideal resource for travelers and a nuts and bolts, easy to understand, no nonsense guide designed to prepare everyone, from the casual traveler to the business executive. Gabi’s experience and first hand knowledge of moving to new countries is extensive. She is well traveled and in her career she has moved across the world on numerous occasions. Born in India to British and Maltese parents, she grew up in Bahrain, finished her schooling in South Africa where she worked as a journalist then moved to the U.S. where she worked in public relations, business development and writing until moving to Cambodia in 2011. “I’ve always enjoyed change,” she smiled. “And the past two and a half years in Cambodia have taught me so much about the challenges, confusions and delights about living in this part of the world. The Definitive Guide to Moving to Cambodia is published by Wandering Educators, the largest source of travel guide reviews on the internet, and includes information on customs, weather, religion, language and learning resources, how to address a local Cambodian, safety, local foods, hot tips on some of the best places to travel and visit throughout Cambodia, free things to do and how to get around. “It’s a country filled with contrasts and craziness,” said Gabi.”Even after living here almost three years, I’m constantly surprised and confused by life going on around me. “But it’s a country that has burrowed its way deep into my heart and showed me a way of life that is fascinating, heart-warming, amusing and filled with joy”.